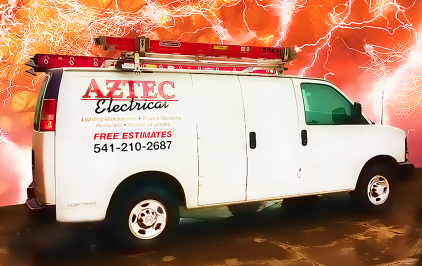 Aztec Electrical Services In Southern Oregon: What is a lighting retrofit? Rising electricity costs, environmental regulations and concerns about employee well being have businesses, consumers and government agencies looking for an energy strategy that will not only save money, but will add business value into the future. A lighting retrofit is a simple way to make your building's lighting more energy efficient. Over time, these energy savings can be significant enough to not only pay for the equipment, but may produce a return on investment. Lighting retrofits not only improve the quality of light, but also result in less heat in the building envelope reducing HVAC run times. Combine this with increased longevity of lamp life and possible utility incentives to help reduce project costs, and you see the return of investments (ROI) can be significant. With lighting accounting for more than 25 percent of the energy used in most facilities, increased efficiency can make a big difference to your monthly energy bill. Retrofit fixtures that install in minutes. These simple installations allow you to use the existing fixture housing and wiring so ceiling tiles don't have to be removed. Upgrading the internal fixture components with energy efficient replacements can reduce your energy use by as much as 67 percent. Adding or upgrading lighting controls to improve the efficiency of current systems. Some controls are wireless. 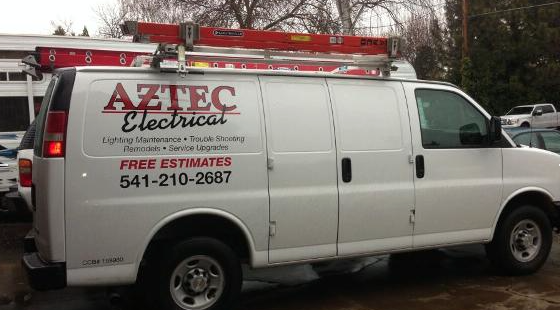 Call or email us at Aztec Electrical to talk about a lighting retrofit at your home or office.